TEMECULA, CA—April 17, 2012—ProSites, the technology leader in dental website design, is proud to announce its endorsement by the New Mexico Dental Association (NMDA). The collaboration enables NMDA members to receive the highest-quality online marketing solutions at an outstanding value. "Recognizing professional websites as a vital service for our members, we conducted in-depth research to identify the top provider in the industry. The NMDA is confident ProSites will deliver the greatest results and value to our members, and we are proud to add them to our list of endorsed partners," remarked Dr. Michael Brown, NMDA Membership Services Committee Chairperson. Founded in 2003, ProSites is the innovator that transformed the dental website industry by introducing the first content management system (CMS) for their members. This groundbreaking technology allows doctors to fully control their website and make edits instantly - with a simple "point and click." The technology gives ProSites the unmatched ability to develop and release new features to all of their members, free of charge. Therefore, doctors know their website will always remain up-to-date without incurring hidden fees; this is a tremendous benefit that distinguishes the firm from competitors and further signifies why ProSites is the preferred website provider for thousands of doctors nationwide. 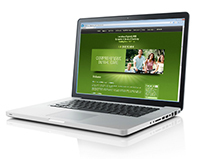 With ProSites, doctors access the most comprehensive online marketing solutions for their practice. From advanced search engine optimization (SEO) and mobile websites to local search marketing and social media services, ProSites delivers tailored solutions to help doctors effectively market their practice online. "We are honored to be endorsed by the NMDA," stated Lance McCollough, founder and CEO of ProSites. "We look forward to showing NMDA members how our proven services make it easy for them to establish a strong online presence and successfully convert prospects into new patients." The NMDA is one among many prestigious dental associations that have endorsed ProSites for its superior website designs and search engine marketing expertise. ProSites is additionally recognized for its accelerated growth and outstanding success as a two-year honoree on the Inc. 5000 List of America's Fastest-Growing Private Companies. ProSites is the innovative leader in website design and Internet marketing services for dental professionals. ProSites delivers premium customizable websites integrated with search engine optimization (SEO) techniques, patient-focused content, and a collection of interactive features to help generate new patient appointments and streamline patient communications. ProSites has garnered endorsements by numerous dental associations nationwide for their superior website designs, unmatched technology and search engine marketing expertise. For more information, visit sbobet ฟรี 300 www.inouibook.com or call (888) 932-3644. Three out of four dentists in New Mexico belong to the New Mexico Dental Association, the comprehensive voice of dental health care in New Mexico. As the premiere dental association and one of the oldest professional organizations in the state, the NMDA is responsible for advocating for the art and science of dentistry on behalf of the people of New Mexico. For more information, visit www.nmdental.org.